This is a noble pledge, but no one had properly comprehended what economic democracy meant. Hence, in order to educate the public as well as the Government party politicians what it meant, this writer wrote a commentary on economic democracy in a previous article in this series. Such an authoritarian rule based on coercion instead of motivation can generate higher performance immediately. But it cannot sustain that high performance over the years. It would be like the hump of the back of a camel which rises at the beginning but falls later. That is because, as this writer had argued in a previous article in this series, continued human prosperity depends on continued invention, innovation and entrepreneurship and they cannot be made possible unless people enjoy freedom of thought, expression and action. I heard, In India, when so many Train engine for the railway were imported, the ministers first order was disassemble the engine into smallest pieces and make a inventory and then make a list of what pieces can be manufactured in India. but, the Sri lankan system is import everything and give me a pwercentage as a political donation or into my wife’ or relative’s account. So, in that sense, In sinhala easy to earn business sectors are send women to middle east, Open liquor shops, Casinos, brothels with both foreign and local women – now some wants to legalize it, .promote rourism. All these are easy to earn service sector jobs . Politicians can earn big percentages. It says, almost every one of 225 has signed to pass narcotics through the harbour using their powers. So, that is how they develop the country. On ther other hand, if Sri lankan industry was developed on agricultural exports, value added products from agricultural products and their processed products, industry using the human skills need lot of hard work and do not earn many votes or donations into the wife’s account. So, the Sri lankan economy is only for a handful who helps politicians. People can suggest. Other than that, even the president is talking and not changing the system. Prime minister is talking but in the back he is covering up and screwing it up more. Only people better off are politicians, their families, politicians henchmen and businesses supporting them. See how every leading politician comes to CT and lislead the readers. A thought provoking piece as usual from Dr. Wijewardena. A benevolent dictator of the Lee Quan Yew type would be ideal for Sri Lanka.But iit s like finding a needle in a hay stack.That type of leader is extremely rare to find any where in the world leave alone Sri Lanka.Lee perhaps is the only one in that mould so far, as far as I know. In him Singapore found a rare combination of benevolent dictator, a educated man who was extremely intelligent very disciplined as well.He was simply a Statesman not a mere politician .If there ever going to be another Lee it would surely be in a society where the thoughts of Confucius is not simply followed but is literally in the blood of its people.Confucius among other things placed a premium on the organization rather than the individual ; that is all individuals owe it to the organization ( the organization can be the State or even a Company) to ensure its success. It called for a high degree of loyalty, dedication , discipline and even sacrifice by the individual to ensure the success of the organization.There was no room in it for personal agendas. A benevolent dictator emerging in Sri Lanka is extremely unlike since in this society the individual takes precedence over the organization.In short everything exists for the perpetuation of the individual. ; for his aggrandizement. In such a society the individual e.g a political leader will sublimate everything for his advancement and perpetuation in power even if the country he heads perishes in the process.In such a society every politician comes to power pleading to work for the common good but after sometime ends up getting the country to work for his good .Felix Dias Bandaranaike once said ” a little bit of authoritarianism is good for the country” and we all know what he did thereafter.Many subsequent leaders adopted an authoritarian approach and ended up similarly.They could never desist from abusing power.Mind you ,many of them were so called educated and cultured people. Non Confucian societies like for instance the those in the developed West overcame the lack of such rigid ethics by putting in place stringent regulations as its societies progressed over the last 500 years years.It made leaders accountable for their actions and placed strict limitations on the ability of a leader to take the law into his hands.No one was above the law.The Rule of Law reigned supreme. Such a situation developing in Sri Lanka is also extremely unlikely given our historical track record of 2500 years .Sri Lankan society does not simply have it in its blood to be tied down by rules and regulations . Hence the tendency to play around with anything that regulates.This includes even the Constitution – the supreme law of the land ! !So how can such a society ever hope of producing a Lee Quan Yew?At most we may produce a UB Wanninayake, a Dudley Senanayake , but such individuals were far from been benevolent dictators.They were in the best sense of the term honest politicians and perfect gentlemen. Dr Wije. the expanding IMF Debt trap that Ranil Wickramasinghem has put Sri Lanka in will mean that the last vestige of economic freedom will be gone in Sri Lanka! Look what has happened to Greece that is caught in the EU – IMF debt trap! Sri Lanka is in the China IMF debt trap because of Ranil’s and Ravi K.s corruption, bond scam and STUPIDITY, and things will get worse. IMF wants clients in Asia so Sri Lanka is screwed now with Moda Ranil putting SL more and more into IMF debt trap. Christine Blackguard is going to be in Sri Lanka to screw poor Sri Lankans over – first it was VAT tax so that the poor subsidize the corrupt rich and now sell off of national assets to pay off debt. Just like IMF did to Greece/ The is very dangerous and must be stopped at all costs. IMF which is supposed to do global financial governance, should be asked by the GoSL to trace and return funds looted by MR and corrupt politicians, that are kept in secret banks accounts overseas , so Sri Lanka can pay off some of the national debt caused by political corruption and FAKE DEVELOPMENT projects, rather than borrowing more from IMF and dancing to its tunes and loading VAT onto poor people. 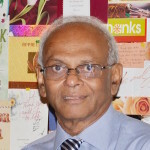 Dr, your articles are very good but Sri Lanka;s epidemic of CORRUPTION, DEBT, EXPANDING ECONOMIC INEQUALITY and social unrest and protest, should also be contextualized in the GLOBAL Pandemic of Financial Crime , perpetuated and protected by the global financial governance institutions that promote money laundering from the global South to the global north, and have failed miserably. After all Sri lanka;s world ranging is 98 out of 173 countries which are worse than us! It is not an accidents that Sri Lanka has become more corrupt with greater opening of the economy and global integration. The global financial system rewards financial crime and is run by economic hit men who have rigged the system and the laws to enable looting of the global south countries.. In the context, The Washington Twins should be shut down or restructured to track financial crime networks and the movement of funds from the global south to the global north via corrupt dictators and which is far greater than so called AID from the global north to the South. Please read Project Syndicatewebsite and the Daily Bell and watch the Kaiser Report on RT on the Greek Debts. Thanks! Sri Lanka has been beggared by its corrupt politicians and the culture of impunity and immunity for Financial Crimes that is both local and Global. What has the IMF and WB done to fight Financial Crimes in Sri Lanka or any other countries in the global south?! Nothing in fact IMF turns a blind eye to off shore tax havens and global networks of corruption while forcing the poor to pay for the corruption of the rich. In fact corruption in countries like Greece and Sri Lanka is good for IMF business, otherwise this lender of last resorts would have no clients. This is the reality . The rich jew loobcy controls world eveants. They bring economies down. Buy the country at a low price and later buy it back at a high price. Commodity prices have come down with the oil price. Gold prices rise on hints of the jew mafia. Trump will take on this international cartel. Credit ratings,and other tatings anmd banking are controled by them. Low cheap credit makes the people into debt. crash the cartel collects. The world is heading in this direction.The share price is about to crash . It5 has being going down. Housing will be bancraupt. Was the bond scam contrloled by the international mafia. The world is moving towards chaos. The jewishmafia and the rotherchile are in control. Trump and Putin must combinne to meet the chalange. Is Sri Lanka centrl Bank 7under there control. Lets weed out the past in the central bank. Was the bond scam under this mafias control. Who are the others. Does the former CBgovernor still have control of our stock market. Were Mahanama and Cabral involved. The mafia is buying gold and destabilising currencies. Credit retins of countries are under their control. They and china are buying gold and mine fields. They probably influnce commodity prices. The press is at their command to spread ruomers to change prices. Mr Wijewardene can you intepret the trends. Can you name any of men who are in their pocket. The nation of Sri Lankan economic and financial crisis has turn into political-economic catastrophes since 2015 January 9th the phrase of ‘Parliamentary Democracy’ as a stereotype ceremonial phrase, that we find which be Non-Democratic means. Reckoning in reality of Parliament democracy with NOT the interest of the majority, but the minority and that to a reforms of “new” meaning destroying every things, which harmful and obsolete to Development and Democracy in Sri lanka, that the most resolute and ruthless manner of the political operation led by UNP politics leadership by Ranil W…CBK and MS……alliances. That they called ‘govt. of Compromised’ was born out of >Rainbow revolution< came into being by products foreign and local political cohabitation of old model on undemocratic governances led by MS as core leaders . But state power apparatus and real power of Executive operation in hand of UNP-Ranil W.. and CBK are the physical manipulators' of current misgoverning the nation. Sri lanka in locally and Globally. it is impossible to nationalized the banks along . In fact proceeding to build and created a state control of trade, business, services, industries and agricultures monopoly .cannot break without nationalization of both of them. By and large we want earnest the regulation of Economic activities and stability would demand the state control relatively, conditional and certain period of time that simultaneous Banks and life-line Economy must come under directive of state. What is happing now MS, CBK and Ranil W.. regime of Neo-liberalist-outfits that time developed foreign capital formation gradually into huge capital overlapped by USA ,UK ,Japan and Indian by new capital combine of various services back by Indian and Singaporean controlled. This is most reactionary and political leadership spirit secured unaccountable scandalously high profits of UNP capitalist. All in all the scams of state oriented that selling of state properties by in the interest of Foreign and Local RICH magnates .All that remain transformation regulations are reactionary -police led bureaucratic norms. Neither the UNP-bourgeoisie nor CBK of SLFP that compromised of TNA and JVP has done anything at all. Could you write in a language which everyone could read and understand. That is perfectly correct. The foundation of Economic order is shaking ,which will leads collapse of whole state apparatus . The People of majority Sri Lankan has been misguided by undemocratic politics of Neo-liberalism by UNP leadership. . The political consciences has lowest level that is not yet upgrade and updated by moribund leadership of UNP form of “Good Governances” . The very democracy is catastrophe . After 69 years the Independence country current ruling parties alliances that working towards chaos and uncertainties of ours Democratic order . No a single politician are take care of that Democratic system into order. .